If you have been a suscriber to this blog or my newsletter for a while, you will know that I have said it times without number that SUGAR is POISON! The truth is the average Nigerian eats too much sugar. While it is a sweet granulated white crystal that you add into your food daily, it can slowly degrade your health and open you to risk of diseases such as heart diseases, Diabetes, and even cause a lot of weight gain. So if you are trying to lose weight, the No.1 thing you MUST do is to CUT out sugar from your diet. But if we are HONEST, I know this can be quite difficult! Sugar is addictive. And if you find yourself going back to your “sugar ways”, then you know that you are addicted. Which is why I have decided to share with you an healthier alternatives you can use to sweeten your food that will help you completely cut out sugar from your diet. 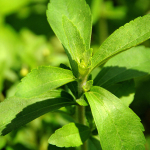 Stevia is sourced from the leaves of the Stevia plant. It is natural and contains no carbs or calories whatsoever. Unlike sugar, Stevia does NOT raise blood sugar and the European Food Safety Authority (EFSA) has approved it as safe for human consumption. You an use Stevia for any foods whatsoever. You can use it in sweetening drinks, cereals and even in baking. 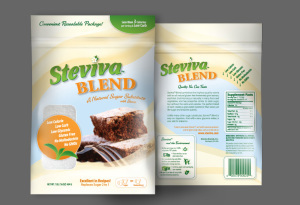 Some commo n brands of Stevia in Nigeria are Steviva and Fruitiva which you can purchase from any major supermarkets such as Shoprite, Park n Shop or any other major supermarket. So when next you have the urge to add sugar to your oat meal porride, use Stevia instead. And you can continue to wean yourself off sweetness by adding less and less sweetner in your meals until you do not have to add any sweetener ever again. Never again should you need to add sugar to your meals…ever AGAIN. Thank you for reading and do kindly leave a comment below. What is Stopping You From Getting Your Desired Body?